How adorable is this quilt!? 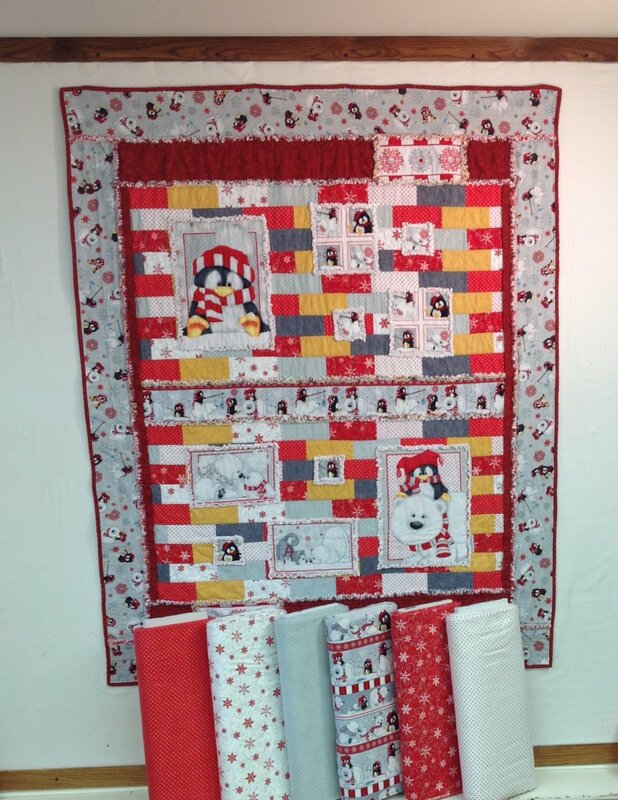 Featuring Henry Glass' flannel fabric line "Artic Antics" by Shelly Comiskey, this quilt designed by Lisa Corretore makes a beautiful rag quilt sure to bring lots of warmth and fun during those cold winter months. It's easy to assemble, is a quilt-as-you-go design and finishes at 57 1/2" x 71 1/2". This Patchwork Garden Kit (PGK) includes the pattern.